October was a month of festivals, which means togetherness. Grateful for the Celebrations at Office, Society and Home. Office Management had thrown a Diwali disc party for us which made us groove to the music. Not only this, we had Rangoli competition and received Diwali gifts too. Played Bingo with co-Lady friends of the society on eve of Karvachauth. It was fun. It was ages since I played a game. Kiddo had participated actively in the celebrations- be it Rangoli or lightning diyas. We made a small Rangoli though he spoiled it just after completing it. It is more fun for him this way. Thanks to My Friend Alexa and BlogChatter. Alexa rank of my other Blog "Life through my Bioscope" has come down. Not only the lower rank, it has pushed me to Blog more frequently. Book Review: Vasantha from My sweet nothings reviewed my Ebook "A-Z of Minimalism" and I am in awe of her. Won a Book giveaway by IMC- An interactive Hindi board book "Das Din" for Kids. My Kiddo loved it and do not get bored of it. It's winters again which means Soup time. I am so glad that Kiddo love Home made soups- healthy and fresh. We bought an Indoor Jute swing, my secret wish from long. Belated Diwali wishes! It sounds like a very merry time was had by all! Congrats on the babychakra writing, Upasna. 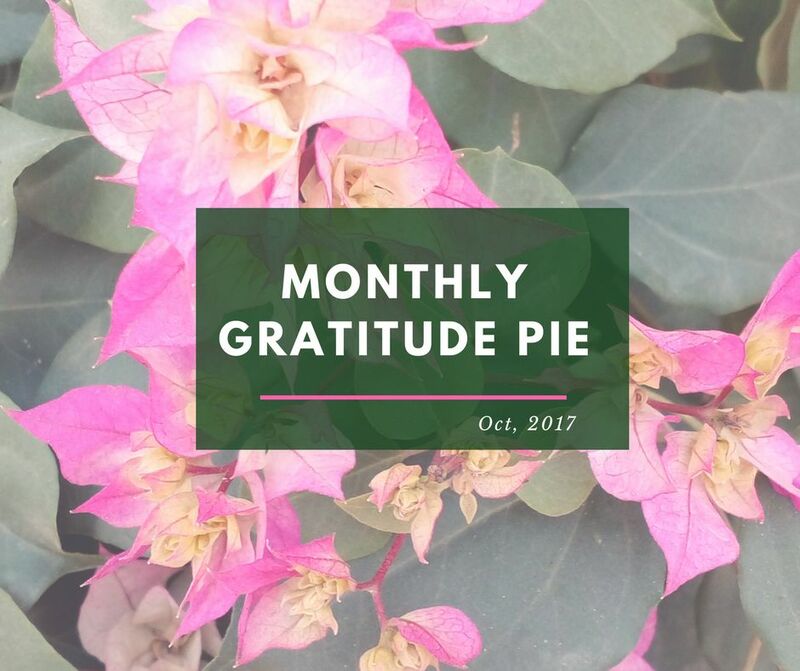 Loving your Gratitude pies on instagram. 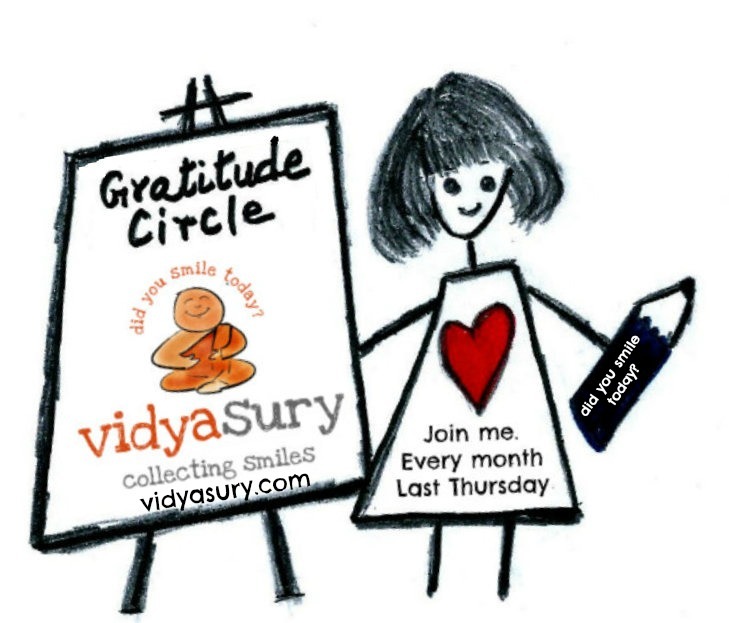 Thank you for joining my Gratitude Circle. Hugs!